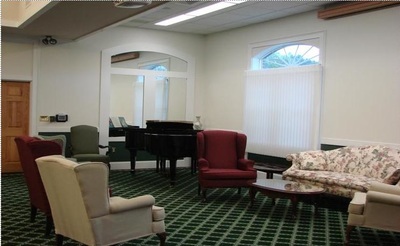 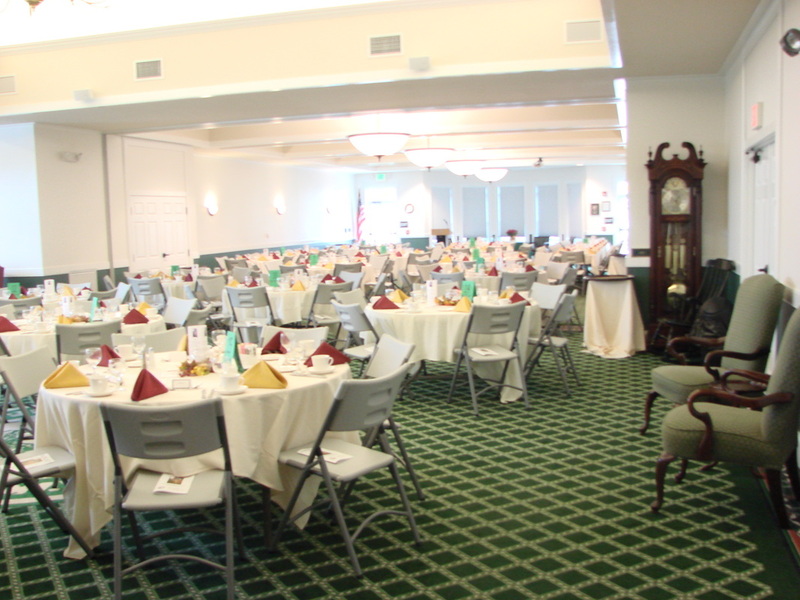 The Alumni House is designed to accommodate 100 for a buffet style meal and 150 for a served meal. 200 chairs can be set up for lecture type events and conference tables/chairs on site can accommodate up to 25 people. The room can be divided in half allowing for a more intimate environment for smaller receptions, meetings, etc. 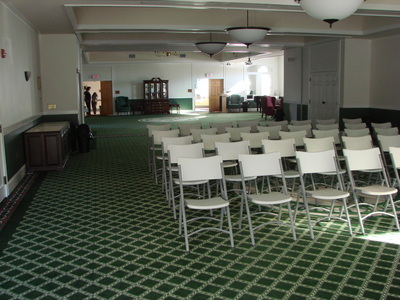 The Class of ’58 Memorabilia room is available for small groups of up to 10 – there is a conference table, chairs and a bench in this room. 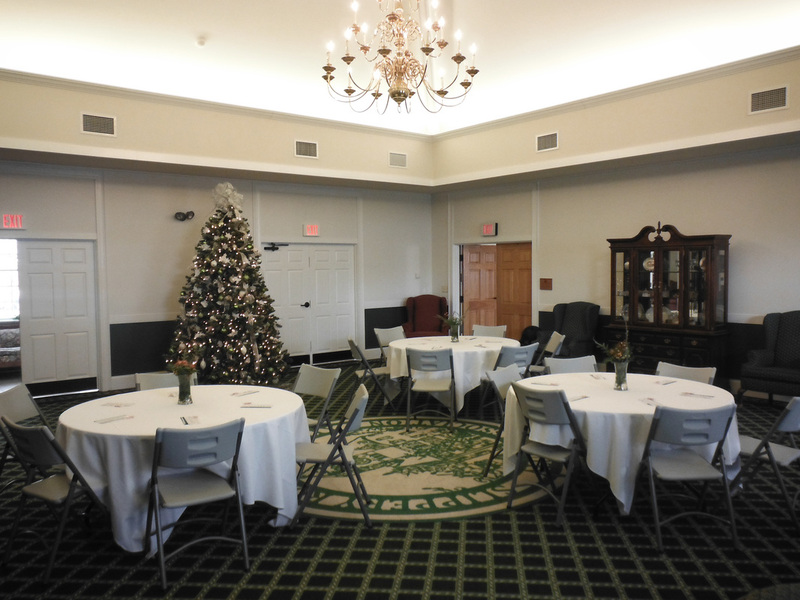 There are 150 folding chairs, 25 conference chairs, 10 conference tables, 10 eight-foot folding tables and 10 round tables in the alumni house that you may use. 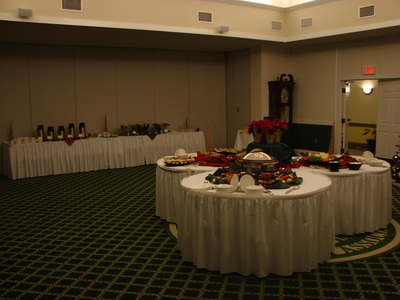 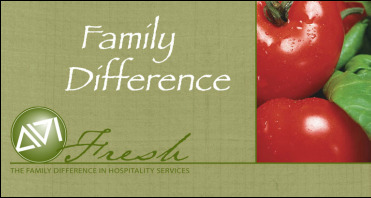 All food and beverages served at the Russell Wright Alumni House and Conference Center must be provided by AVI Catering. 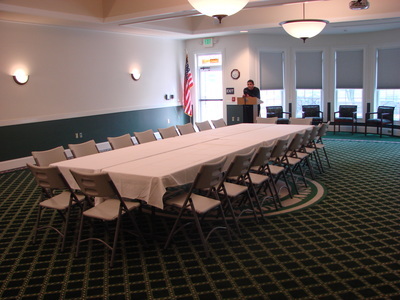 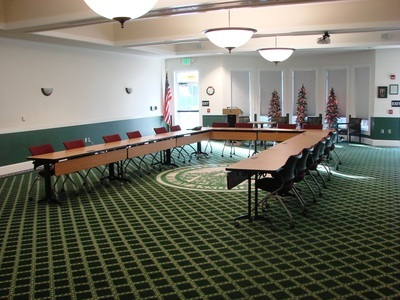 The Russell Wright Alumni House and Conference Center is available for use, free of charge, to SRU On-Campus Groups consisting of 50% or more SRU students, staff, and/or faculty. Please check the calendar for availability, fill out the reservation request form (download below) and email it to alumni@sru.edu. 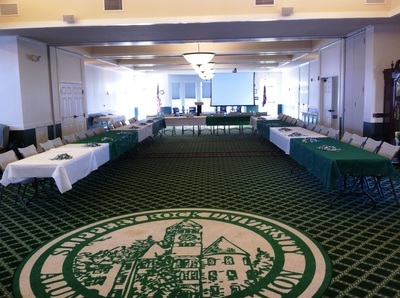 Reservations are not complete until confirmed in writing by the Office of Alumni Engagement. 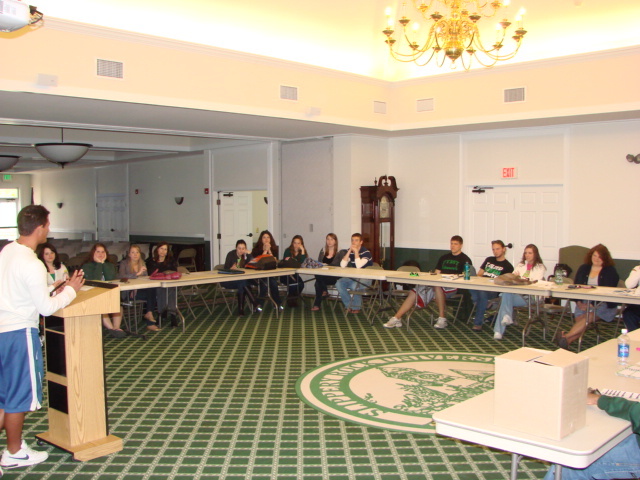 If less than 50% of attendees are current SRU students, staff and/or faculty, see info for Off-Campus Groups. 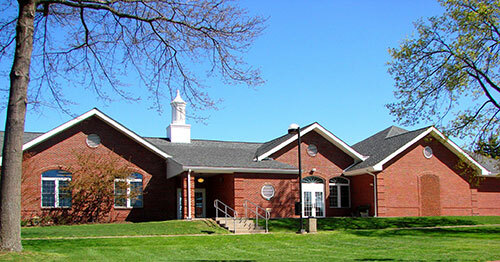 Office of Alumni Engagement at 724-738-4153.
which includes the policies and fee structure, see the Rental Agreement Form (download below).